NYC, 04/20/2019, 3:00PM. Writing workshop. Looking for a space to share your writing and receive feedback from other writers? 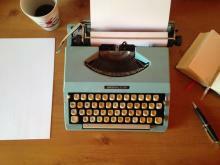 Then this new writing workshop which is open to writers of all levels waits for you! And for those who are shy, each person's work will be shared in an anonymous manner. Participants can bring any work that they'd like to share. All forms of writing are accepted (i.e. screenplay, nonfiction, poetry, fiction, etc) and at all stages (first draft, final draft, anything in between). All work will be collected at the beginning of the session and then redistributed anonymously, to be read aloud and discussed amongst the group. Depending on the size of the group, how much work each person can share will be decided (to begin, it is suggested to bring no more than 500 words).